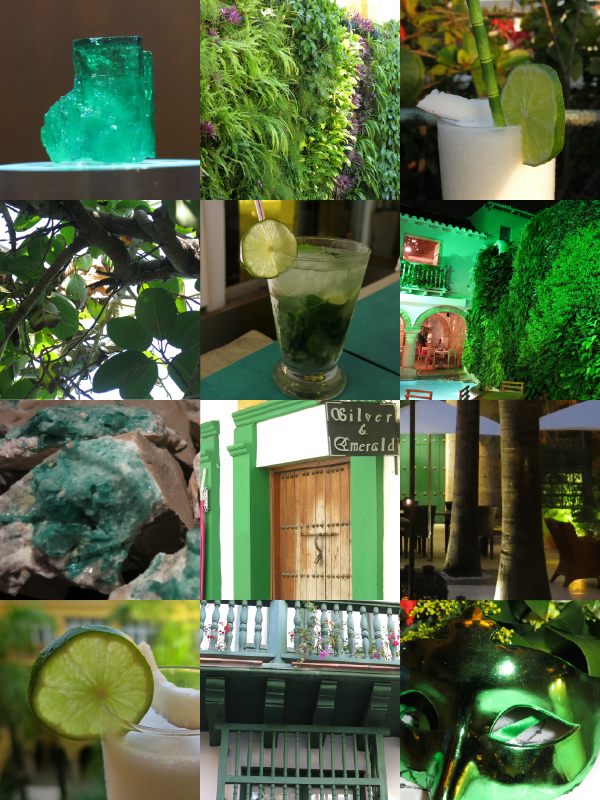 As Colombia’s national tourism website agrees, “Green is a color that identifies Colombia as much as the colors of its flag.” The country embodies this year’s color both symbolically through the green hues of its natural landscape as well as literally through the precious emeralds it has mined since antiquity. In fact, Colombia is the leading producer of the finest quality emeralds in the world. 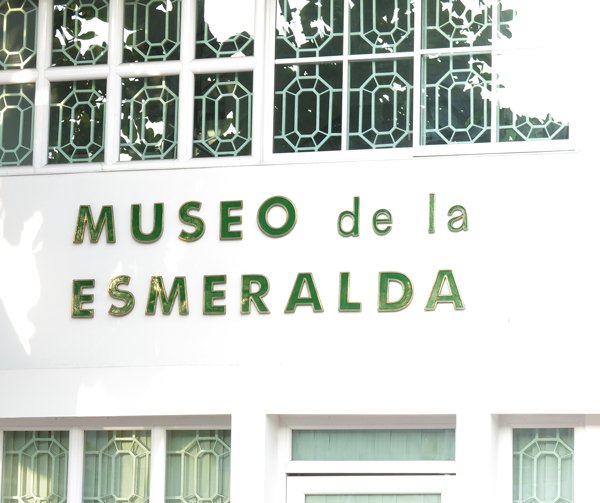 While in Cartagena, we visited the Museo de la Esmeralda and witnessed the history of this brilliant mineral as well as its evolution, from formation in nature to the end consumer. Leatrice Eiseman, executive director of the Pantone Color Institute further explains, “As it has throughout history, multifaceted Emerald continues to sparkle and fascinate. Symbolically, Emerald brings a sense of clarity, renewal and rejuvenation.” This vivid, verdant green is also widely known to represent new life, prosperity and unity – all the best wishes one would bestow upon the marriage of dear friends. 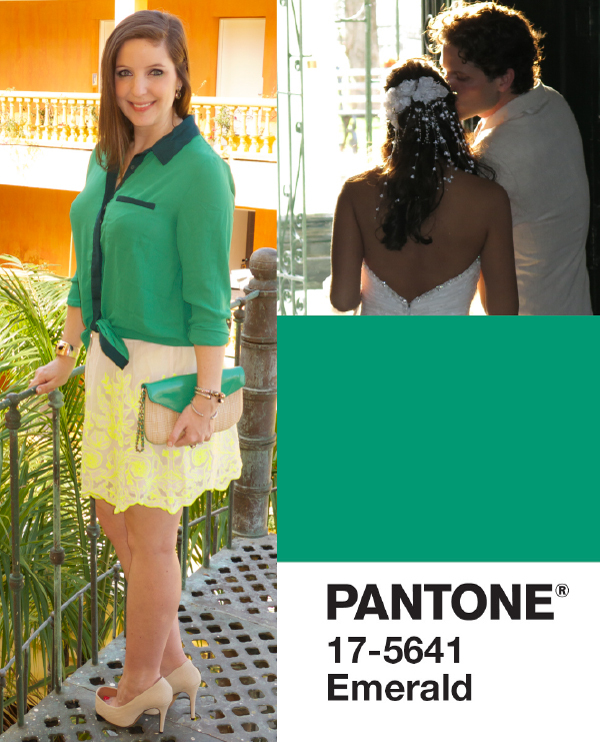 This past weekend in Cartagena, surrounded by Pantone’s official color of the year, we were able to do just that. 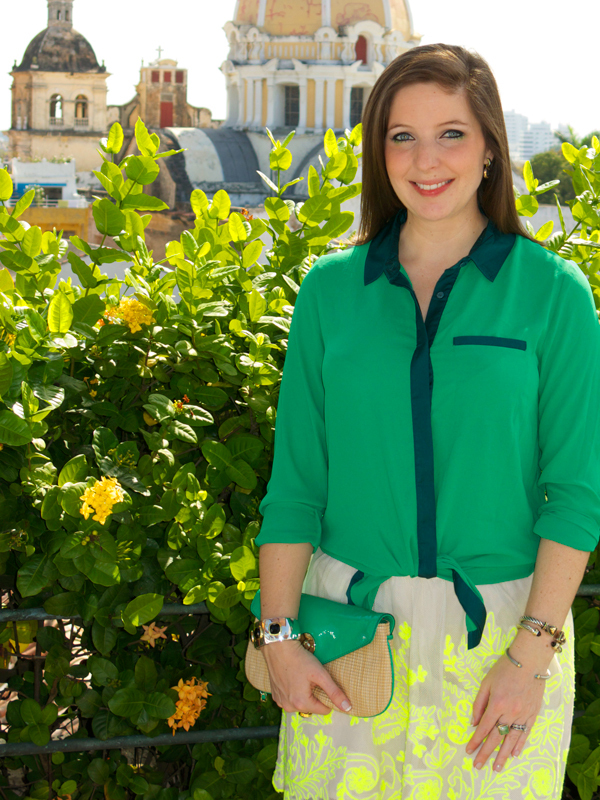 This entry was posted in inspiration, katie, travels. Bookmark the permalink.